As school is starting, I thought it would be nice to focus on the importance of learning God’s Word, applying it to our lives, and teaching it to our children. 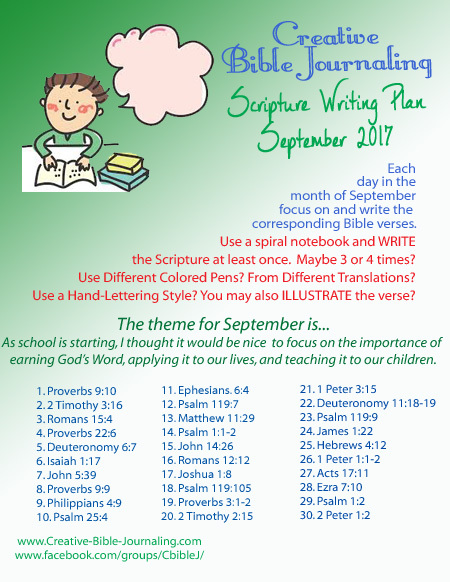 You will find the links to the Scripture Writing Desk, The Lettering Lodge and the free printable download of this flyer below. Until I make a September thread, please Click for August Lettering Lodge to post your work and see others.